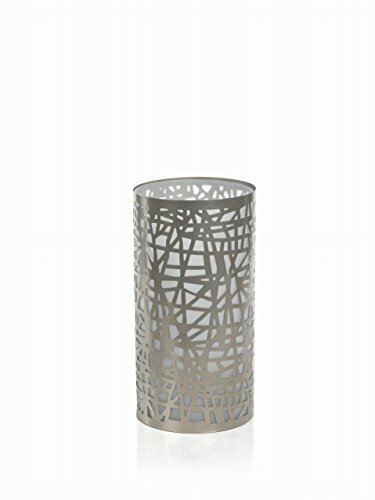 Impressionable as it has a striking modern edge appeal, metal hurricane candle holder. This piece delivers a touch of dazzle to your tabletop. Place a pillar candle inside and let the lovely cutout design flicker away. If you have any questions about this product by Zodax, contact us by completing and submitting the form below. If you are looking for a specif part number, please include it with your message.